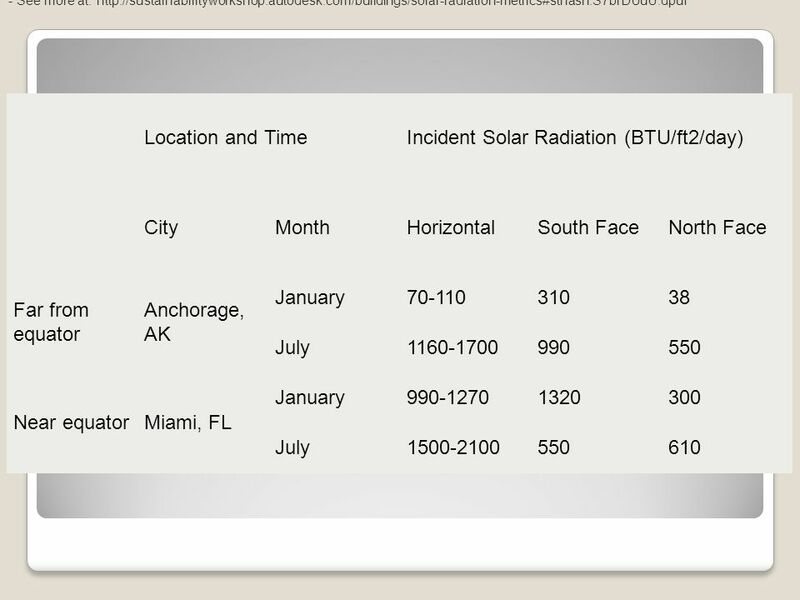 Solar Radiation. 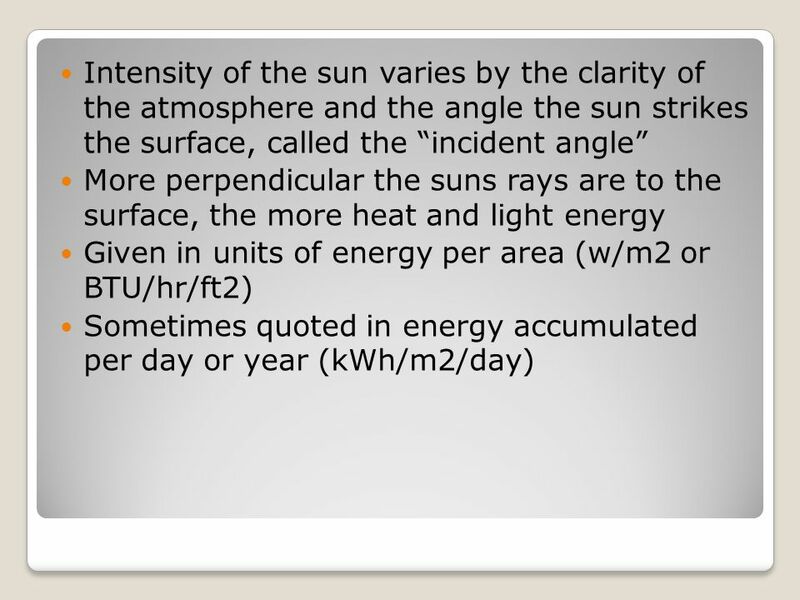 Intensity of the sun varies by the clarity of the atmosphere and the angle the sun strikes the surface, called the “incident angle” More. 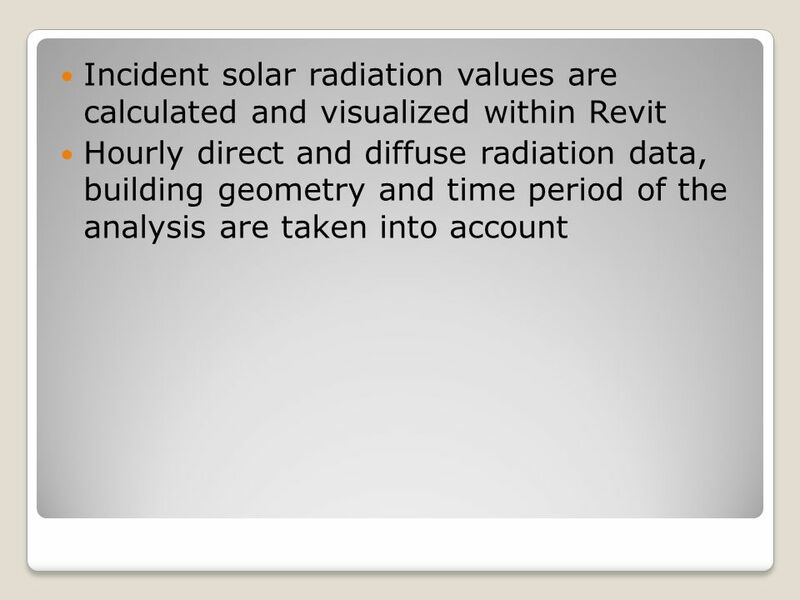 Download ppt "Solar Radiation. 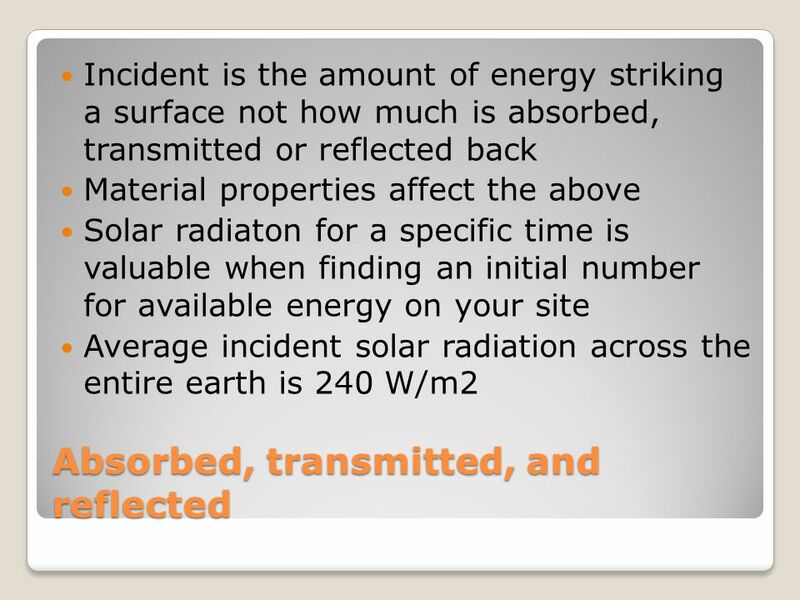 Intensity of the sun varies by the clarity of the atmosphere and the angle the sun strikes the surface, called the “incident angle” More." Why Is It Hotter At The Equator Than At The Poles? 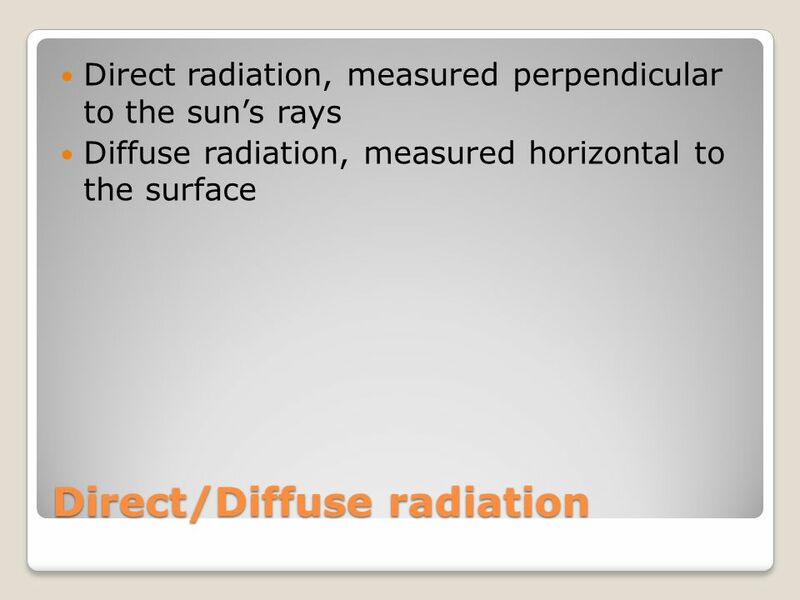 Lesson 12 Insolation Hess, McKnight’s Physical Geography, 10 ed. pp. 70, 80-84, and Fig on p. 78. Climate and The Ocean Chapter 17. © Oxford University Press 2009 Part 7 Global warming─Are humans responsible? Quit 7.2What is the normal global distribution global distribution pattern. Why the Earth has seasons  Earth revolves in elliptical path around sun every 365 days.  Earth rotates counterclockwise or eastward every 24 hours. 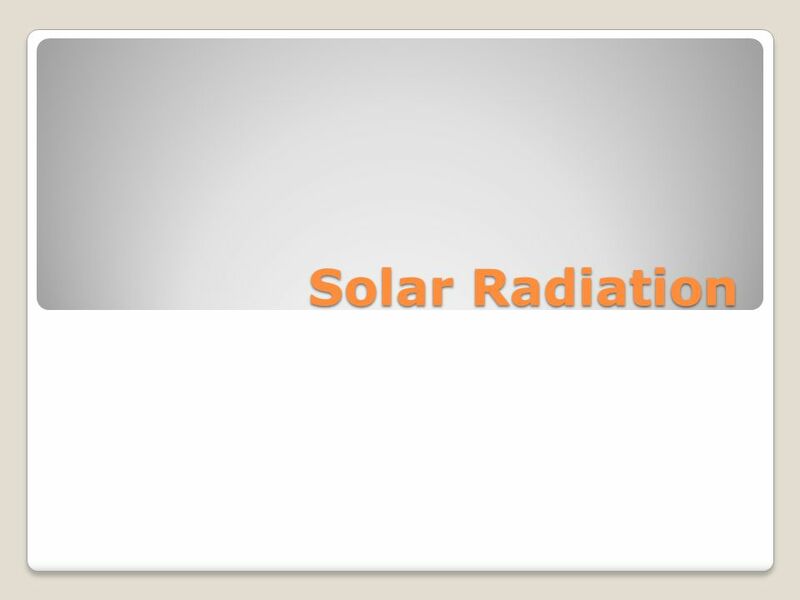 Performance Benchmark E.12.A.1 Students know the Sun is the major source of Earth’s energy, and provides the energy driving Earth’s weather and climate. 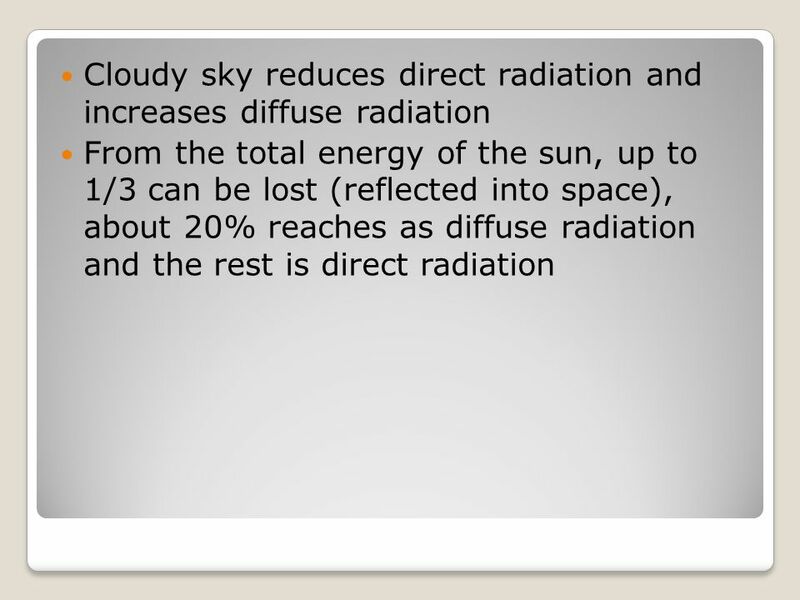 Weather and Climate- Day 2 The Sun’s Energy Ch. 17. 1. Try to produce a flow chart from the text I read to you 2. Look at pages 208 to 209 of David Waugh and answer the following; a) Describe how the. Energy Budget of the Earth- Atmosphere System. Energy Transfer Conduction -- direct molecular transfer Convection -- fluids; air or water –Sensible heat.